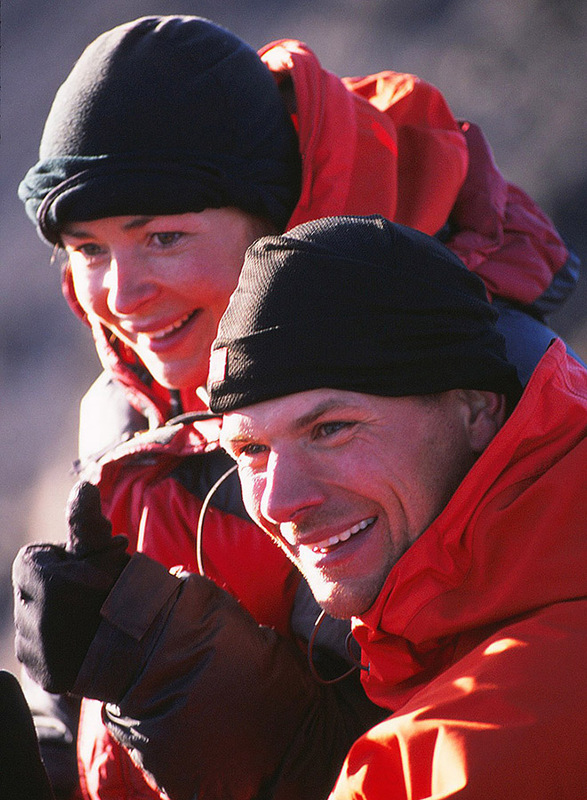 Goran Kropp was a Swedish adventurer and world class mountain climber who died at age 35 from head injuries when he fell while rock climbing in the autumn of 2002 six miles north Vantage, Washington in the United States. He was a 6’3″, 240-pound man known by his nickname “Crazy Swede.” He successfully climbed Mount Everest two times and was the first Scandinavian to summit K2 (8,611 meters) in 1993. Goran was climbing with Erden Eruc of Seattle when he met his death. 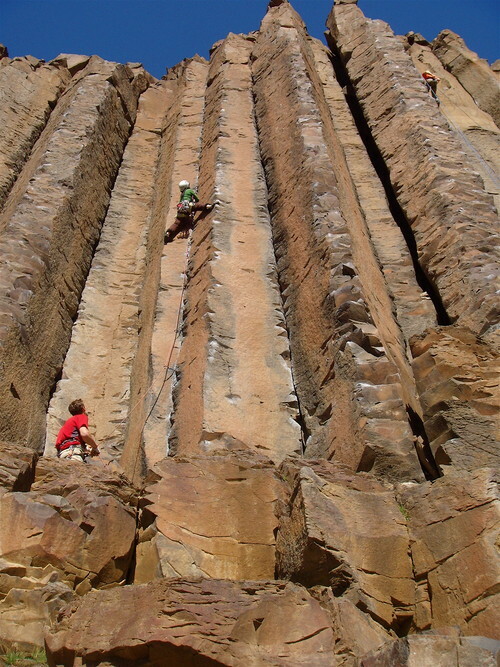 Goran and Erden were climbing the Air Guitar route of Sunshine Wall in an area known as Frenchman Coulee on Sept. 30, 2002. Erden concluded that Goran’s fall was due to a carabiner failure. Erden and Goran’s parents later visited the scene of Goran’s death. I live about a 30 minute drive from the Sunshine Wall where Goran died. The terrain is beautifully depicted in a video by Paul Sharpe of Seattle. The five minute video, called Ode to Frenchman Coulee, includes some wonderful aerial videography. During May 1996, Goran made a solo climb to the summit of Mount Everest without bottled oxygen or a Sherpa. Goran traveled by bicycle from his hometown in Jonkoping, Sweden to Mount Everest and back to Sweden. “I wanted an adventure that was unprecedented,” Goran was quoted about his bicycle trip to Mount Everest. In Goran’s 1997 book (with David Lagercrantz, a Swedish freelance journalist) titled Ultimate High: My Everest Odyssey, Goran set forth “The Kropp Ultimate Mountain List” of the mountains he climbed up to that time. They included Mount Everest (29,028 feet), K2 (28,251 feet), Kangchenjunga (28,169 feet), Cho Oyu (26,906 feet), Broad Peak (26,401 feet), Peak Pobeda (24,406 feet) Muztagh Tower (23,862 feet) and Pik Lenin (23,406 feet). After Goran and Renata scaled Mount Everest, they helped haul out 25 spent oxygen canisters that littered a huge, ice-covered area known as the South Col. In 2000, Goran attempted to ski to the North Pole with fellow Swede Ola Skinnarmo. They had to turn back after suffering frostbite. During the attempt they were forced to shoot and kill a polar bear in self-defense. Jan Guillou, a writer for a Swedish tabloid, accused Goran of being a poacher. Goran sued for libel but lost. Goran and Renata moved to Issaquah near Seattle in the early 2000s. 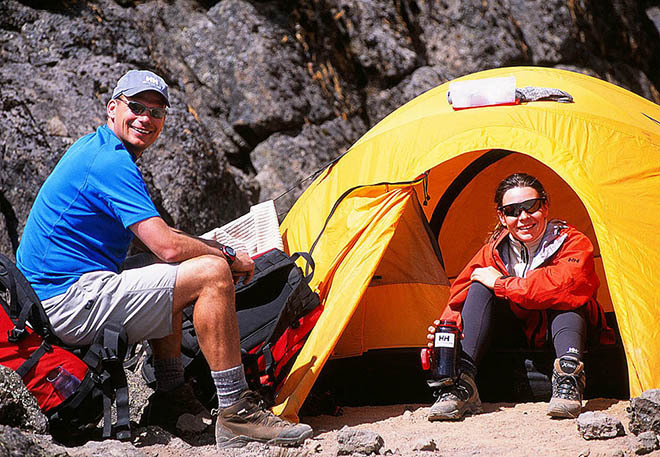 The move was motivated in part due to the bad press that Goran got in Sweden for the shooting of the polar bear and because of a defamation lawsuit against Goran in connection with a book that Goran wrote (along with David Lagercrantz) about climbing Mount Everest: Ultimate High: My Everest Odyssey (Discovery Books 1997). The polar bear incident was reported in the March 1, 2000 issue of Sweden’s Aftonbladet. Goran and Ola Skinnarmo were on the third day of a hiking journey to the North Pole when two polar bears started to attack them. Goran said that when the bears were about 20-25 meters away he fired a warning shot but it did not scare the bears away. “When they were seven meters from us I shot one in the shoulder,” Goran said. It was only after shooting the bear that they stopped and turned back. At age 6, Goran and his father climbed to the top of Norway’s Galdhoppigen, the highest peak Scandinavia at 2,469 meters (8,100 feet). The next year Goran and his father climbed Kebnekaise, Sweden’s tallest peak. In 1991, Goran was climbing in the Aiguille Verte in Chamonix with Mats Dahlin, a Swede who Goran met during paratrooper school. (“In the barracks, I met a guy who read mountaineering magazines,” Goran wrote about his becoming acquainted with Mats.) During the climb, a stone fell from the top of a ridge and hit Mats on the head and killed him. Goran had planned to climb Cho Oyu with Mats. Later, when Goran scaled Cho Oyu, he placed Mats’ ice axe at the top of the mountain with an image of Mats directed toward Mount Everestt. Goran was born in Eskilstuna, Sweden on Dec. 11, 1966. He is survived by his parents, Gerard Kropp and Sigrun Hellmansson, both of Sweden, and his fiancee, Renata (born in 1973 in Malmo, Sweden). Renata became a motivational speaker and lives at Jonkoping, Sweden. She is also an “adventure athlete” who in 2004 was listed by Outside magazine as one of the world’s top 25 female adventure athletes. In 2006 she became the first person to circumnavigate the Lower 48 states of the United States by kayaking and bicycling. The journey covered a distance of 18,200 kilometers (more than 11,300 miles). This entry was posted on June 14, 2014 at 9:39 pm and is filed under Mountain climbing. You can follow any responses to this entry through the RSS 2.0 feed. You can leave a response, or trackback from your own site.